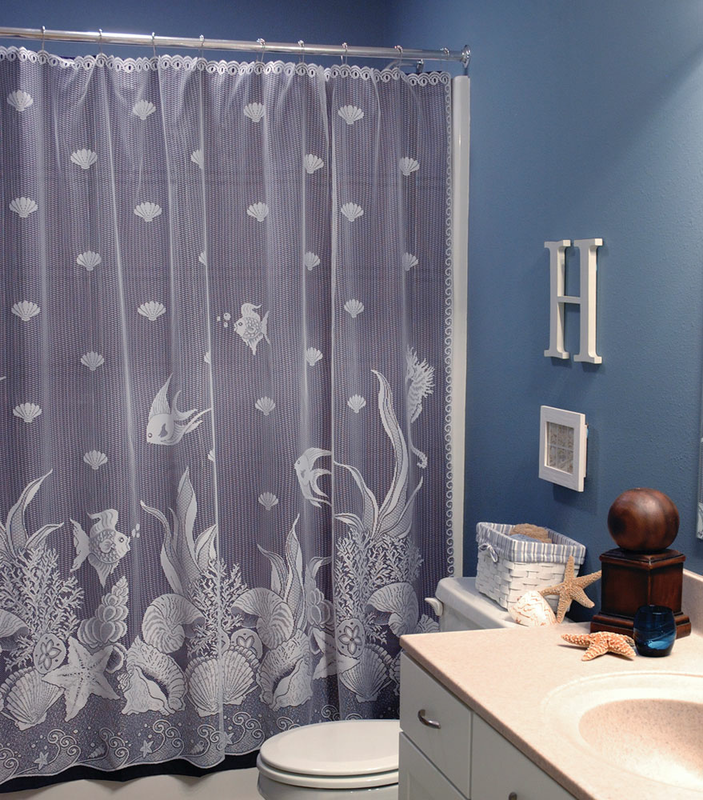 Showcase your coastal style with the Seascape Lace Shower Curtain. 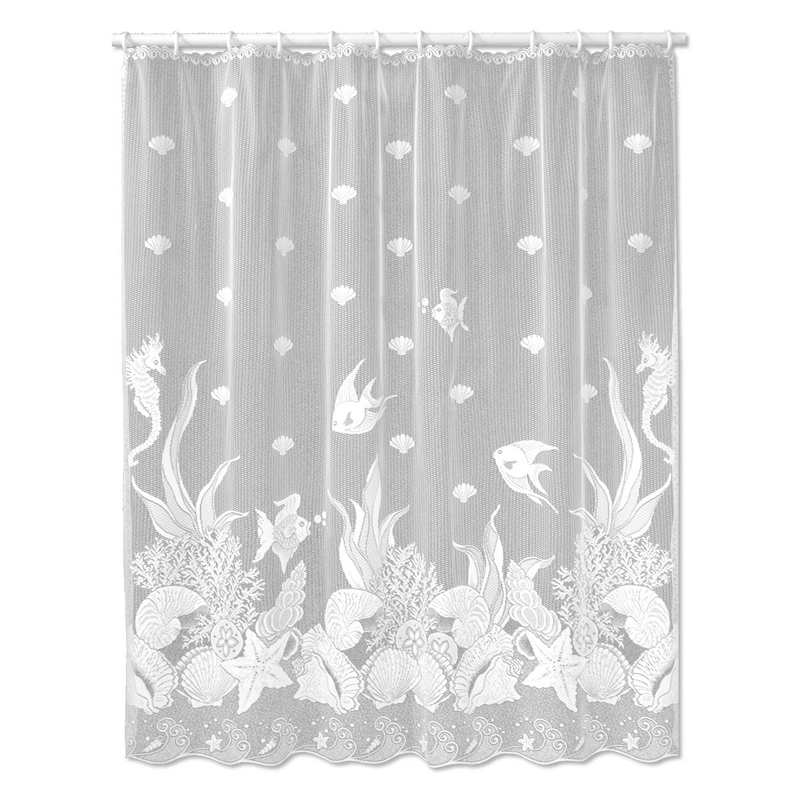 This beach shower curtain is designed with intricate lace seahorses, starfish and shells. Ships from the manufacturer. Allow 1 week. Cannot express ship. For more options, we invite you to take the opportunity to peruse our comprehensive selection of beach shower curtains at Bella Coastal Decor now.